As large parts of the UK continue to suffer from severe flooding, Baca have once again been called upon to appear as expert commentators by the UK media. 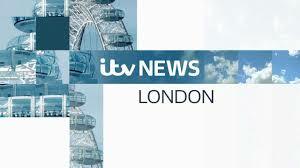 This time appearing on ITV London News, Baca Director, Richard Coutts, presented the Practice’s innovative Amphibious House, a national first, demonstrating how the home rises to float within its own dock when flooding occurs and returns to ground level once water levels have receded. Also discussed were proposals from Baca’s award-wining LifE Project (Long-term Initiatives for Flood-risk Environments), a non-defensive and sustainable approach to working with water within future developments. Richard explained the growing need to consider and integrate water into our built environment as we adapt to coping with more frequent flood events.